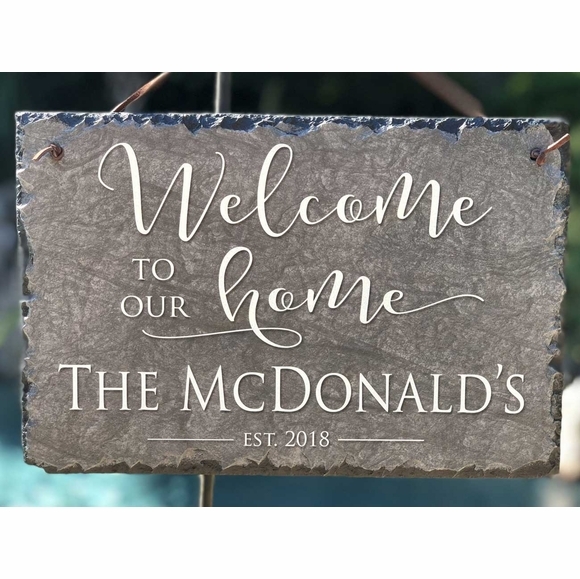 Welcome To Our Home Personalized Slate Plaque - - personalized with the family name and established year. Made in USA. Welcome TO OUR Home is standard on all signs. Established year holds four (4) digits in this format: XXXX. Colors: gray slate with ivory wording. Family name in sign: THE McDONALD'S.